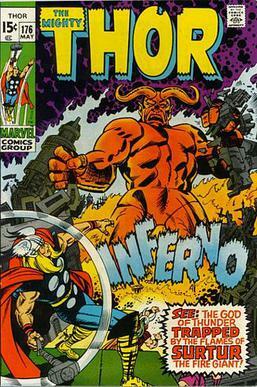 There have been many battles between Thor and the giant fire demon Surtur. 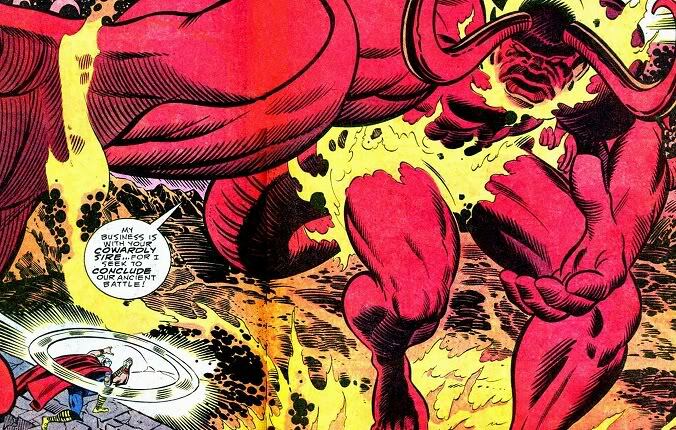 Surtur also plays a big part in the event of Ragnarok which ends in the deaths of all the Asgard. Beware the flames of Surtur! Surtur has also appeared in Video Games. He makes for an epic boss fight.